There is no need to read large user manuals to get advantage of its advanced functionality. Most of the complexity inherent to full sized Spectrum Analysers is simplified with automatic functionality resolved by the firmware. 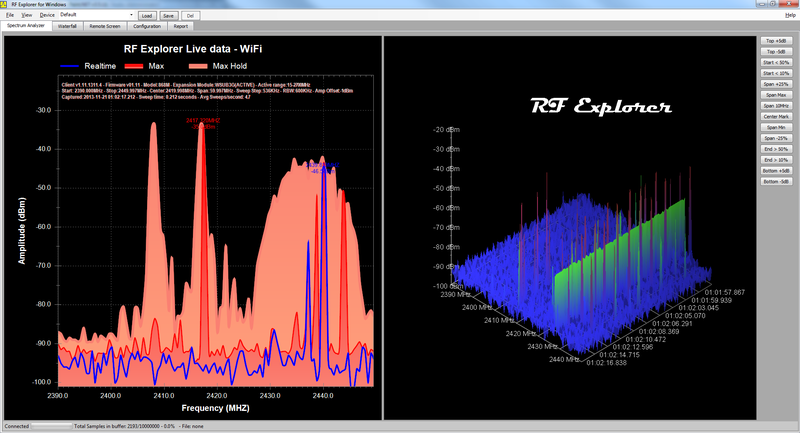 For instance, you do not need to adjust Resolution Bandwidth (RBW) every time you select a different frequency span. 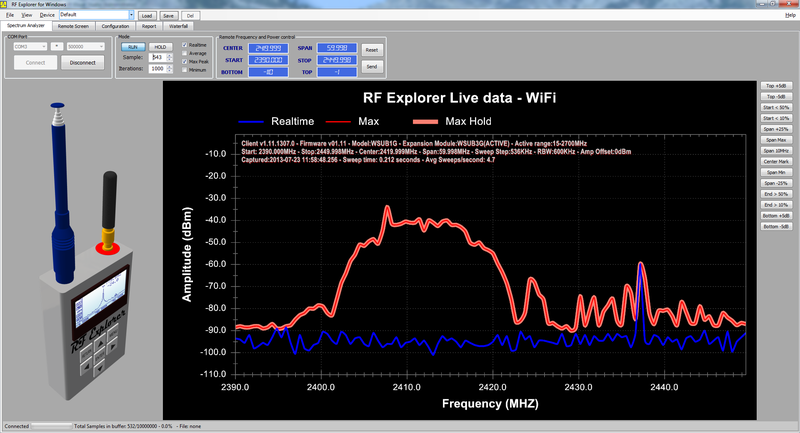 The X axis represents frequency in MHZ and Y axis display actual received power in dBm or dBuV (selectable). Pocket size and light weight with solid aluminium metal case. 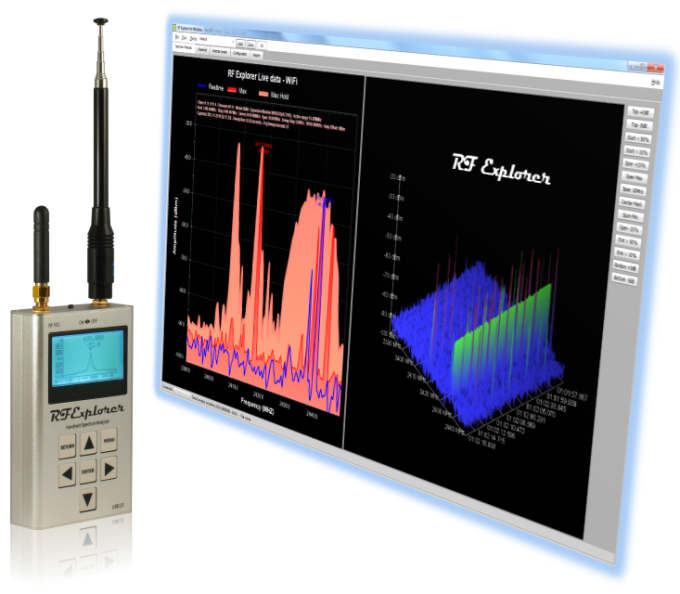 The Spectrum Analyser calculator includes Peak Max, Max Hold, Normal, Overwrite and Averaging modes. Lifetime free firmware upgrades available. Open to new features requested by user community. High capacity Lithium Ion battery up to 16hs of continuous run, rechargeable by USB. Microsoft Windows software is free and Open Source. 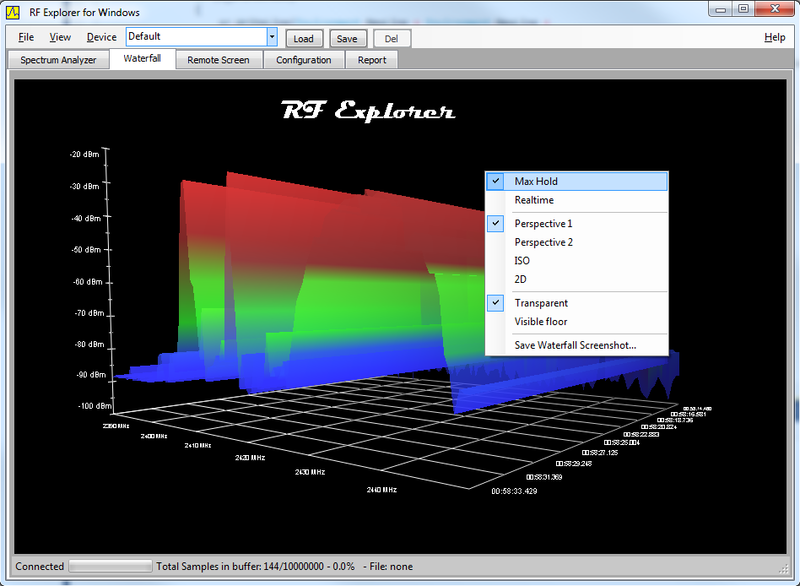 Mac OS client is free and Open Source. 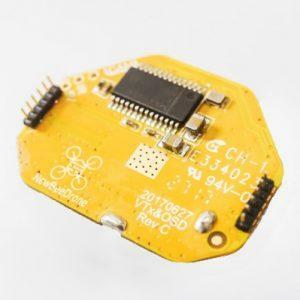 USB Communication protocol is open for custom solutions and extensions. 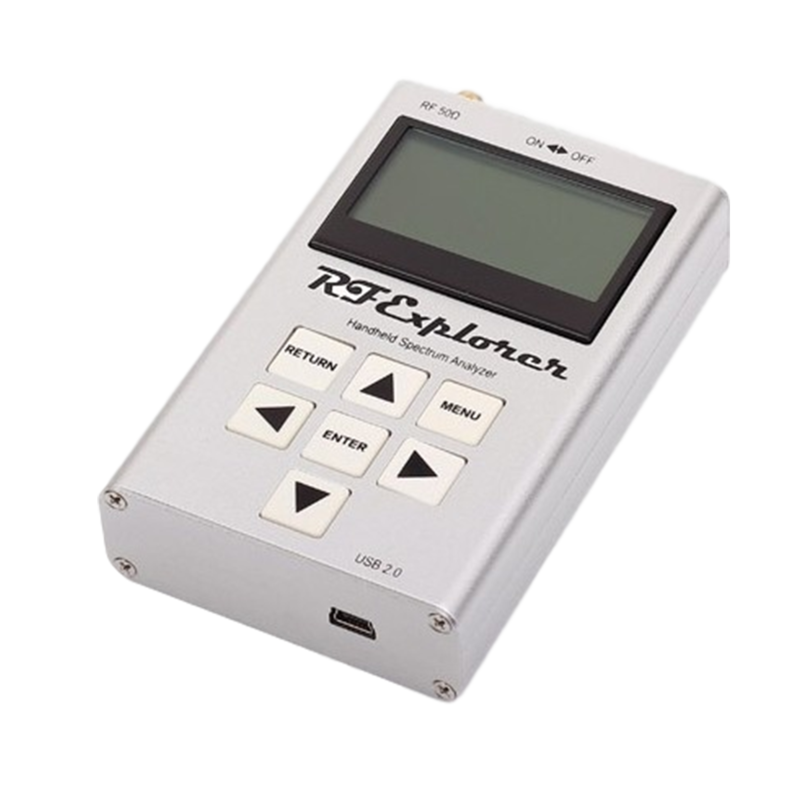 Expandable: RF Explorer base model unit can be easily expanded to additional bands using the internal expansion port. 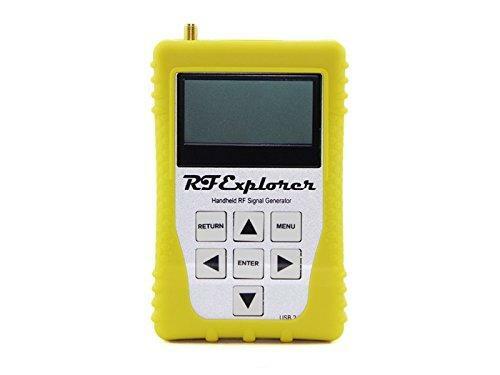 Some models include an Integrated RF Signal Generator.